Quiltmaking, which has a long and rich history in Western Europe, the United States, Canada, and many other parts of the globe, has, over the past forty years, become a favored medium of fine artists around the world. While they honor historic traditions, these women (as well as some men) have revolutionized how quilts can be made and what they can look like. 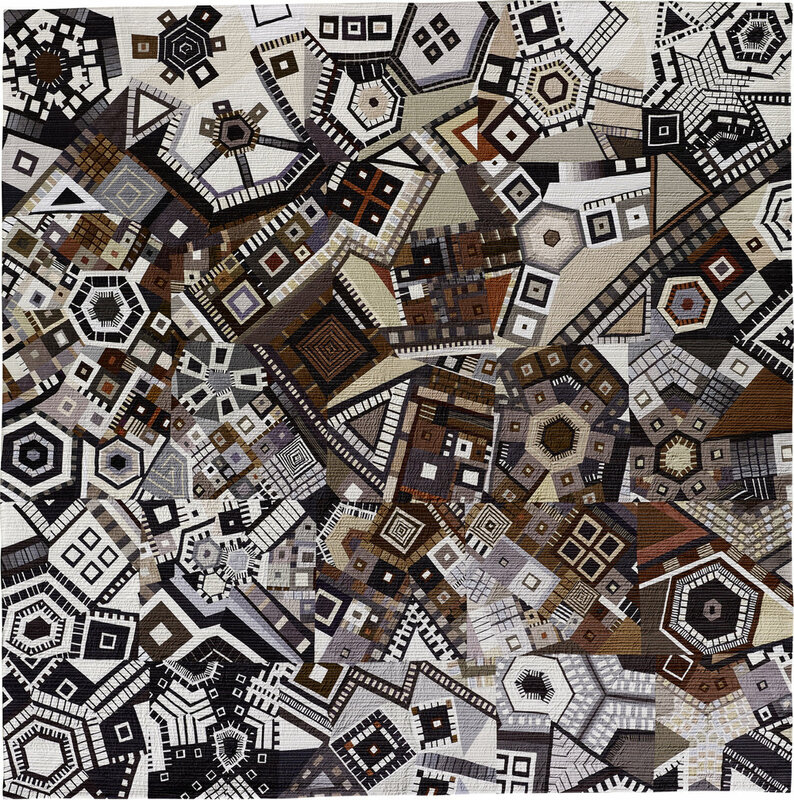 They can dye and manipulate the cloth they work with; they painstakingly assemble compositions piece by piece on a design wall; and, after settling on an arrangement and sewing all the pieces together, they finish their work with complex lines of quilting.